The Platform for Collaboration on Tax held its inaugural conference in New York last week (14-16 February, 2018). With the backdrop of the Sustainable Development Goals (SDGs) this collaborative initiative choreographed by Platform Partners – International Monetary Fund (IMF), Organization for Economic Co-operation and Development (OECD), United Nations (UN) and the World Bank (WB) – reminded us that “an era of unprecedented international cooperation on tax is underway with the implementation of Automatic Exchange of Information, the Base Erosion and Profit Shifting Project, and the strengthening of the United Nations Committee of Experts on International Cooperation in Tax Matters—all creating new opportunities for the enhanced participation of developing countries in international tax policy discussions and institutions” (Conference Statement, 16 February). With the IMF, World Bank, OECD and UN holding the power and influence needed for achieving success in the SDGs, you would hope to see a sense of determination or a set of discussions which invited meaningful debate and robust critique. Cue dampened expectations. 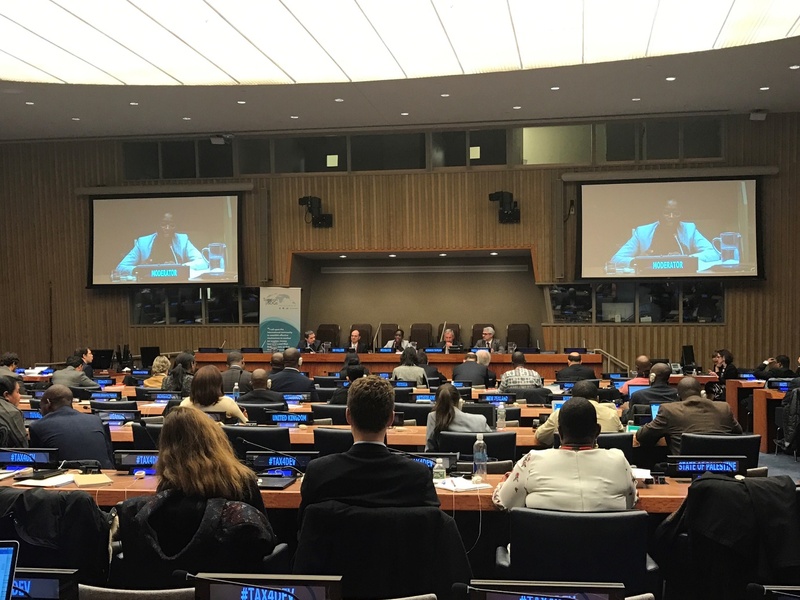 Civil Society, private sector, governments and academia – all present, but not lost on many was the relative absence of developing countries on plenary panels, or worse still a platform given to the Panamanian Minister of Finance lauding progress made to the benefit of the poorest. …that of those 74, just 26 (35%) were women…. Most befuddling and disappointing of all was the absence of any substantive analysis of the ambition, potential and challenges presented by the SDGs – the ‘scope of the problems facing developing countries as they try to achieve sustainable development’. As the Platform outcome statement says “Achieving these goals requires enormous financial resources” but no glimmer of hope through a recalibrating of the international tax and financing system, how we could get from A (now) to B (2030). Had developing country representatives and civil society been given a ‘platform’ (excuse the pun) and had there been a political openness and frankness which many in civil society felt was missing, a real collaboration might have enthusiastically begun. “analyze and report on the spillovers and opportunities from changes in the international tax environment on and for developing countries”. We would expect that the Platform partners will, as part of the spillover analysis and ensuring important policy alignment, use the opportunity disaggregate data which illuminates the gender impact of taxation policy and law in one jurisdiction on another. Thank you – not surprised but great that we are highlighting this important issue. Was there not any representation from the G77? We are hoping for some strong leadership from Ecuador on these issues – did they not get a platform?